Asda Pure Hygiene Rechargeable Power electric toothbrush review - Which? Asda's Pure Hygiene Rechargeable Power Toothbrush is the latest own-brand electric toothbrush from the UK supermarket. 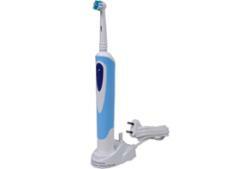 But is this electric toothbrush as good at cleaning teeth as more expensive models? And should you buy it? Find out in our full review below.